2015 marked the first of the Beijing International Book Fair (BIBF) Literary Salons, a literary festival held in conjunction with Asia’s oldest and most influential book fair. Last year’s theme was “Close Reading”, and featured text-oriented events with literary luminaries such as Enrique Vila-Matas, Simon van Booy, and Feng Tang. The theme of the 2016 BIBF Literary Salons was “Never Ending Stories”, a celebration of narration’s protean flexibility. From the renowned testimonials that make up Nobel-prize winner Svetlana Alexievich’s unique non-fiction, to the fragmentary tales of Alejandro Zambra’s My Documents, to Amitav Ghosh’s heady mixtures of historical sleuthing and personal memoir, this year’s authors are creators of exceptional stories. We also invited children’s authors from Nordic countries to join Chinese writers – Sweden’s Ulf Stark together with China’s Cao Wenxuan, and Danish Kenneth Andersen in discussion with Hong Ying – in conversation about childhood, where our deepest emotions and wildest tales are rooted. Young Chinese voices made themselves heard as Xu Zechen and Ren Xiaowen reveal their unique views on the margins of society. Meanwhile, Wolfgang Kubin, and Anna Gustafson discussed literary translation, a process which truly has the potential to make stories endless. See below for information about all the events. Alejandro Zambra’s breakout novel Bonsai is the story of Julio and Emilia – a love story entwined (and entangled) in literature and history. In 2011, it was made into a film by Cristián Jiménez, which premiered in the Un Certain Regard section at Cannes. Tonight’s screening of the film will be followed by a Q&A session with the author. The Cervantes Institute of Beijing, in cooperation with the Embassy of Chile in Beijing and Shanghai 99 Readers, will off a unique opportunity to get in direct contact with the well-known Chilean author Alejandro Zambra. In the context of the Beijing International Book Fair, and due to the presentation in China of his new releases Ways of Going Home, Bonsai, My Documents and The Private Lives of Trees. On this special occasion, Alejandro Zambra and the famous Chinese writer Xu Zechen will share the stage with the aim of having a conversation around their works and other aspects related to Chinese and Chilean literature. A session of questions and answers will be conducted, allowing the participants to share some words with the writers. Do not miss this chance to personally meet the author while learning about the culture of Spanish language through its literature. Over the course of six years, Yoshii Shinobu paid visits to the owners of Tokyo’s disappearing book shops and interviewed them – she calls this “a book I wrote with my feet”. She chatted with the booksellers about the details of running a bookshop, hoping to share the secrets of their survival with her readers, and gradually found herself moved by their tales of persistence and steadfastness. “How to run a bookshop” is a topic of interest to any lover of books, but over the course of six years of social change, what we as readers take away from the daily details of management is the character of the booksellers themselves, and the story of their lives. Liu Suli of Beijing’s All Sages Bookshop provides a local comparison and contrast to the story of the Tokyo experience. The panel discusses SF's continuing rise in popularity and its international appeal; what attracts readers to become fervent fans; what is says about our times, translation challenges and how SF travels across continents. Today sees the launch of three books by Chilean author Alejandro Zambra, one of Latin America’s most compelling young authors. Bonsai his first novel, laid out the foundation of Zambra’s style: a fascinating mixture of observed detail, possibly-autobiographical memories, and meta-fictional narrative elements. The short story collection My Documents established him as an international talent; he has been featured in the pages of Granta magazine, and The New Yorker. His most recent novel, Ways of Going Home sees Zambra expanding his scope to encompass the political history of his native Chile, though with the same emotional openness and narrative creativity that originally made his name. Hear him discussing his fiction at today's event. Join Yu Hua and writer Agustinus Wibowo in conversation about stories of the Chinese experience, both personal and historical. Yu Hua needs no introduction: from early works such as To Live, to the more recent blockbuster Brothers, he is among China’s foremost portraitists of modern Chinese society. Wibowo is an Indonesian translator and author of Chinese descent: he is also Yu Hua's Indonesian translator. At a young age he ventured to China in search of his roots and, finding China not at all as he’d imagined it, embarked on a ten-year journey through the world, which is the subject of his new book, Zero: When the Journey Takes You Home. Yu Hua and Wibowo discuss their authorial relationship,and the role of the individual in historical narrative. Khaled Hosseini, author of The Kite Runner, may never have been to China, but today Chinese readers will come as close to him as possible: his representative and agent Chandler Crawford brings a video Hosseini has made specially for his Chinese audiences, telling the story of the book’s spread around the world. Crawford is not only Hosseini’s agent, she is also his good friend, and today’s event is an excellent opportunity to learn more about the author and his experiences. Gray Tan, the book’s agent in East Asian markets, will join Crawford in conversation about the book and its incredible success around the world. In a series of ten interviews with booksellers around Tokyo, Shinobu Yoshii reveals the tenacious tradition of the small Japanese bookshop. Owners of community bookstores tell their histories of survival and growth, and of the quiet yet crucial role that their shops play in the culture and society of Japan. The Chinese launch of Tokyo’s Constant Booksellers will give Chinese readers, publishers and booksellers a new opportunity to reflect on the continuing possibilities for the future of independent bookstores. There is an age at which life is an adventure, an age when the brave heart of youth has yet to be clouded by intimations of adulthood. Today’s event brings together two authors of young-adult fiction, whose tales of youthful heroics and derring-do are much beloved by young readers in their respective countries. Hong Ying’s Mimiduola voyages fearlessly to other worlds in search of a way to bring her mother home; Denmark’s Kenneth Andersen is the creator of Antboy, in which a hapless 12-year-old boy named Pelle is bit by a strange ant and gains superpowers… Come hear our authors talk of quests, and courage, and adventure that is childhood. The newest Chinese translation of Nobel-winner Svetlana Alexievich, Second-Hand Time, represents a masterful culmination of the author’s unique narrative style. Woven from oral interviews conducted and edited by the author, the stories of the interviewees bridge the past and present of the Russian nation, revealing a depth and complexity of emotion most novels would struggle to match. In fact, “novels in voices” is how Alexievich describes her books – voices belonging to ordinary people who have experienced extraordinary history, who reflect on the Soviet Union as it was, and Russia as it is now, and what the transformation has done to them. Hear her today discussing the book and her process of writing. The world of the child is not necessarily a cheerful place – in addition to joy and wonder, children experience all the fear, shame and loneliness of which adults are capable. Today’s guests are masters of bringing the full range of human emotion into children’s stories: Sweden’s Ulf Stark is world-renowned author of books such as Can You Whistle, Johanna? and My Sister Is an Angel; Cao Wenxuan’s Bronze and Sunflower and The Grass Hut have won him accolades in China and abroad. Both authors write for a wide range of ages, and both excel at revealing the wild heart of the child. They will be discussing their insights in today’s event. What is the experience of being a children’s writer in Nordic countries? How does one enter the profession, and negotiate relationships with publishers, booksellers, and the market? Is the authoring of children’s literature respected or marginalized? This event brings together four authors from three Nordic countries, to discuss their various experiences as authors and/or illustrators of books for infants, children, and young adults, driving towards a central question: how does the children’s author relate to society? This year, the BIBF plays host to a combined 16-country guest of honor program, featuring a host of authors from eastern and central Europe. This afternoon, we welcome families to come and meet some of the best children’s authors and illustrators from eastern and central Europe, including the best-selling Croatia writer Andrea Petrlik Huseinovic, who will be here with her illustrator husband Kasmir Huseinovic, and with their son Neo, the main character of some of her books. Also Polish children book writer Wojciech Widłak, together with illustrator, will come to share the story of the book, Mr. Ball lives on Cherry Street. Two young authors come together to discuss the craft of writing, and the ways in which they forge their individual voices. Alejandro Zambra was hailed as marking a new era in Chilean literature with the publication of his first novel, Bonsai, in 2006, and since then has continued to develop his plain-spoken, oddly hypnotic style. Ren Xiaowen, one of China’s best-regarded young writers, is likewise notable for her unique approach to their craft – her taut political allegories, subtle but bursting with tension, are highly regarded. In tonight’s event, the two discuss the development of their voices. The project of translation can be fraught with more than just aesthetic concerns. In China, in particular, what is translated and how it is received abroad is often viewed in light of larger concerns about the globalization of China’s culture. 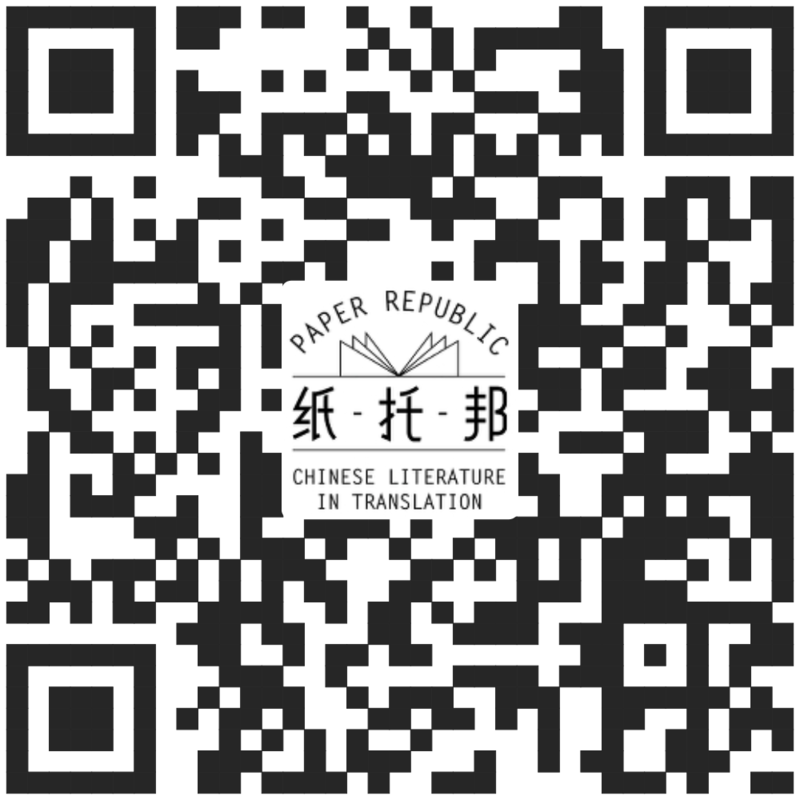 This afternoon’s event brings together three highly influential translators: Wolfgang Kubin, writer, sinologist, and academic; Anna Gustafson Chen, Swedish translator of Mo Yan and many other authors; and Eric Abrahamsen, award-winning translator of Chinese fiction into English. They discuss the tension between their personal relationships with Chinese literature, and the role they play in the greater movement of that literature into the world. Cecilia Lindqvist came to China in the early 60s, in search of its traditional art and music. Thus began her lifelong relationship with the country and its language, a relationship that resulted in the publication of a series of landmark books: Chinese Characters, China: Empire of Living Symbols, and Qin, about the ancient instrument she learned to play. She is here to promote the Chinese publication of Another World, her memoir of coming to China, as well as a children’s edition of Chinese Characters. She is joined by Chen Maiping, an influential poet and author, as well as the foremost translator of Swedish fiction into Chinese – his new translations of Kjell Espmark and Harry Martinson are being published this year. Rounding out the conversation is Li Zhiyi, Lindqvist’s translator, and recipient of Sweden’s Order of the Polar Star for his translations of Swedish children’s fiction. The three discuss cross-cultural journeys: physical, cultural, and artistic. Tonight’s event brings Svetlana Alexievich, winner of the 2015 Nobel Prize for literature, into conversation with three outstanding Chinese writers, of vastly different backgrounds, in conversation about varying approaches to writing history. Alexievich, whose Second-Hand Time has recently been published in Chinese, won the Nobel for her historical narratives made of juxtaposed oral interviews. She’s come to China now, for the first time in 30 years, to promote her new book. Joining her are Ge Fei, one of China’s most respected novelists, who creates tense fiction soaked in historical background; Liang Hong, whose wildly influential China in Liang Village mixes personal memoir with sociological analysis; and Zhang Yueran, for years an intensely personal author, who has found a new means of addressing history in her newest novel, Cocoon. These four authors will discuss the relationship between individual story and historical narrative, and different types of literature’s ways of balancing the two. The two best-known works by Swedish children’s illustrator Lisen Adbåge are Koko and Bo, about the daily lives of a father and son, and Kurt and Kio, featuring a pair of troublemaker brothers. Adbåge’s art fills the ordinary moments of her stories with glorious color and strange spectacles. Critics have said that Adbåge’s illustrations are done from a child’s point of view, but with an adult’s sensibilities: the best of children’s literature presents a human perspective. Take the opportunity today to see Adbåge displaying her illustrations and art, and sharing her creative process with Chinese children and parents. The Opium War was a crucial moment for both world history and China’s development. Yet today few in China know how great an effect the Opium Wars had on India, as well. During the 19th century, under Britain’s colonial rule, disaster-wracked India was forced to cultivate poppies and provide opium for China. Ninety percent of the opium sold in China was grown in India. Amitav Ghosh, a scholar of sociology and anthropology at Oxford University, reminds us that the Opium Wars were fought in the name of free markets. It is not only Westerners who have forgotten this page of history – in India, as well, no one recalls that the country was once a part of the opium trade. The damage done to China by means of India-grown opium is one of the great sins of history. Ghosh went into the archives of the British Museum and the National Archives in the course of his research, later visiting India and China as well, and between 2008 and 2015 published the three volumes of the Ibis Trilogy, a masterful melding of fiction and history. On the eve of the publication of the second volume of the trilogy in Chinese, Ghosh comes to China to share his stories and research regarding the Opium Wars and Chinese-Indian relations with Chinese readers. The world already knows of the losses and transformations that the Chinese countryside has experienced as a part of the ever-rising tide of modernization. Fewer may know that Egypt, thousands of miles away, is going through a similar process. Amitav Ghosh’s In an Ancient Land is an non-fiction work which began as the story of Ghosh’s investigations into the life and history of a 12th century slave. In the course of his research and interviews, he also made a record of his observations of living conditions in the Egyptian countryside. In the resulting work – a combination travelogue, anthropological study, field notes and historical exploration – Ghosh paints a rich portrait of rural Egypt: its place both in present-day globalization, and in history. His descriptions of migrant labor, hopeless youth, and rising standards of living are bound to be familiar to Chinese readers. And so we have invited Chinese author, professor, and observer of rural society Liang Hong to join Ghosh in conversation tonight, discussing the countrysides of China and Egypt, their observations and ideas, and the possible futures of these two ancient lands.